Cherokee North Carolina is the vacation hot spot of the smoky mountains with its spectacular natural mountain beauty and ancient cultural attractions! Cherokee NC is actually a 100 square mile sovereign nation of the Eastern Band of the Cherokee Indians. Western North Carolina has been home to the Cherokee Indians for longer than records can tell. In fact archeological artifacts dating over 11,000 years old suggest that the Cherokee people have lived in these mountains as far back as the end of the last ice age. Today the Cherokee people respectfully preserve their history and culture while welcoming visitors from the nation that surrounds them. Many of these visitors come upon Cherokee while traveling HWY 441 to or from the Blue Ridge Parkway or the Oconaluftee Visitors Center at the eastern entrance of the Great Smoky Mountains National Park. Though you will not need a passport to visit the NC Cherokee Indian Reservation, Cherokee itself will transport you to a living ancient culture. The Cherokee people share and give life to their culture at popular attractions like: Unto These Hills Outdoor Drama, the Oconaluftee Indian Village, the Qualla Arts and Crafts Mutual, and the Museum of the Cherokee Indian. The same mountain attractions that captured the spirit of the ancient Cherokee Indians will capture your spirit too. The scenic smoky mountain views from every roadway are the first to call to your spirit. Travel deeper in to the mountains by exploring the many hiking trails and discover beautiful waterfalls cascading down to mountain streams where you can fly fish for the same Brook Trout that the Cherokee Indians have fished for centuries. As a living and growing culture, Cherokee NC also has many contemporary attractions. The largest and most popular modern attraction is Harrah’s Casino. For a more leisurely pace you can browse the many stores of downtown Cherokee for Cherokee Indian crafts and other souvenirs. 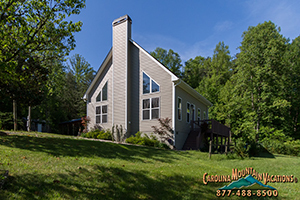 With so much to experience and explore in Cherokee, staying in a vacation rental cabin will keep you in the center of it all with the added benefits of privacy and space that staying in your own house can have. We have a growing number of rental cabins in Cherokee NC. Most are beautiful log cabins with up to 4 bedrooms and full modern kitchens with stainless steel appliances and Granite counter tops. Hot tubs are a common amenity of our Cherokee cabins, as are gas log fireplaces and satellite TVs. Some of our Cherokee cabins even have game rooms. For amenities, descriptions, photos and rates of our Cherokee cabin vacation rentals click on a photo for that cabin below. 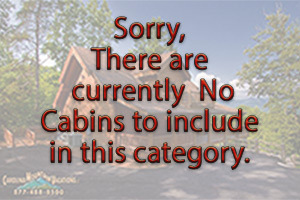 All of the cabin rentals listed below are located in the Cherokee Indian Reservation area. At any of our Cherokee cabin rentals you can stay in and experience the same mountains that have held the spirits of the Cherokee people for centuries. Our smoky mountain vacation rental cabins in Cherokee NC are listed below according to number of bedrooms. just click the icon with the number bedroom you need.